Only 10 – 20kg per square metre depending upon specification. A range of dressing aggregates is available to meet the required skid resistance values. Completely waterproof-no separate membrane or anti-corrosion treatment needed. Excellent chemical resistance against fuels, oils and de-icing compounds. CICOL anti-slip coating systems have an unrivalled track record over the past 35 years in skid and slip prevention. Introduced in 2008, CICOL NT is a tar-free combined anti-skid wearing course and waterproof membrane, and is the first choice anti-slip coating solution for steel, concrete and aluminium substrates when a lightweight anti-skid surface is essential. Used consistently across the UK, from the Humber Bridge to Dover Harbour and by customers like Coca-Cola and the British Army. The use of the CICOL NT anti-slip coating system is not confined to the above structures where its lightweight properties are a distinct advantage. There are many instances where other properties make it an ideal choice of surface. A range of decorative aggregates can be used in conjunction with CICOL NT anti-slip coating system. Use of these aggregates will significantly reduce the design life and should only be considered for pedestrian areas. NOTE: CICOL NT superseded the original CICOL ET version, in line with current legislation governing use of epoxy-tar compounds. 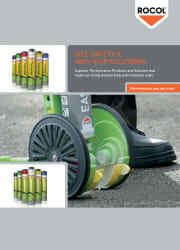 *The UK's most specified, premier anti-slip coating.